When venturing into the world of building your own website with WordPress, you’re bound to run into questions about the popular Content Management System. For example, what’s the difference between WordPress and the WordPress theme you choose? How are plugins and widgets different? What about categories and tags? Here's how understanding WordPress and its nuances will help. If you’re jumping into learning WordPress, don’t worry too much about not figuring it out right away. At first, diving in and learning even the basics of WordPress can be a bit overwhelming, but it’s not impossible to understand. Here are some of the basics to help get you started in the right track. How Is A WordPress Theme Different From WordPress Core Software? So is there a difference between the two? Well, yes, but when it comes to building a website with WordPress, you can’t have one without the other. WordPress itself is a software system that has everything you need to create and distribute content, written or otherwise, to the online world; a WordPress theme gives the software someplace to put that content on display. While WordPress holds the power of managing content, a theme is where the software really starts to shine. A theme holds the code that both extends the power and functionality of WordPress (i.e. turns you blog into an e-commerce store, or a social media based site) and gives you options for what your site will look like visually. And while you can quickly and easily change out your WordPress theme to get a different look or function out of your site, WordPress Core software doesn’t have that kind of versatility. Instead, that part of WordPress receives minor and major updates that fix bugs or betters the end user experience, but the same elements within WordPress stay the same. To emphasize that point again, you need both WordPress and a WordPress theme to build a website. What Is The Difference Between Plugins and Widgets? The new plugin interface is clean and modern. Another point of confusion for many new WordPress users is deciphering how a plugin is different from a widget. As with the two mentioned above, plugins and widgets, though related, are different from one another. WordPress plugins are separate from WordPress and themes, but they can be added to a WordPress powered site to add features or functionalities and work with both to extend the options given. Widgets, on the other hand, are not an entirely a separate part of WordPress like plugins are. WordPress comes preloaded with default widgets that can be used in designated areas — usually a sidebar or footer. These widgets are generally small block like boxes that can be used to add content or features in those areas. 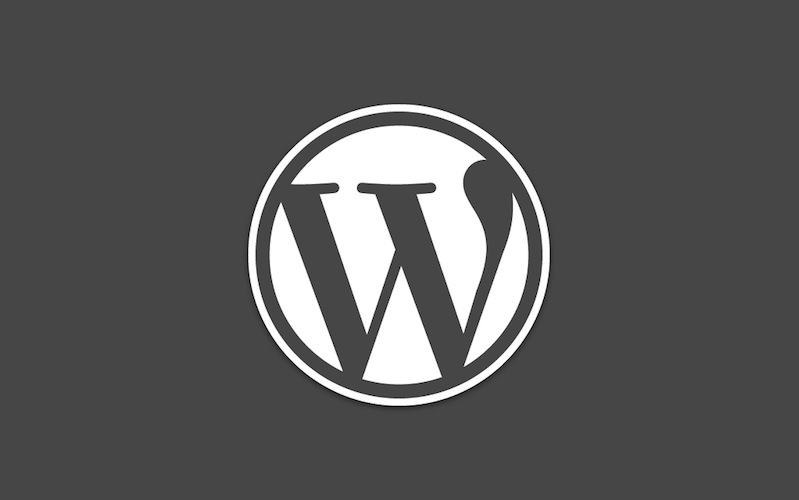 Many WordPress themes will have custom widgets that will be added to the default ones that come with WordPress. In fact, some WordPress themes are built with a widgetized homepage so that you have quickly and effectively design a unique page for your website. Plugins can contain widgets, but widgets are not plugins. Basically, you can download a plugin that contains certain widgets that you can use on your site, but widgets are not something separate from a plugin or a theme. In order to add widgets or widgetized areas to your site, you will need to either hard code that function into your theme (if it doesn’t already contain the widget you want) or find a plugin that adds that feature. Understanding WordPress involves you to get a good handle on how widgets can be used and utilized to save you time and money. The Internet is full of thousands of widgets both free and paid that can save a developer oodles of time. Perhaps the most confusing aspect of WordPress is differentiating pages and posts. To just clear the air on this, let’s just make it as simple as possible. If you want to create blog posts, you do so with Posts. Pages, however, should be used to create things like About, Contact, Landing, and Sales pages. Pretty easy, right? On a more technical note, pages and posts are really very different by their nature. Posts get timestamps and have a short life span; Pages are meant to be everlasting. Posts can be categorized and have tags added to them; Pages do not have this option, but instead, can be hierarchical. Posts are used to create blog posts and are included in your blog’s RSS Feed; Pages are not. Basically, the majority of your written content should be created with posts in WordPress. You should use pages where needed, but don’t treat them like blog posts or things will start to get messy and unorganized. These two were touched on a bit above, but it’s always nice to get some clarification. Categories and tags are used to help organize your posts so that the content that is related to each other can be easily found. Though the two work together to do this, each one has its own purpose. As you can see, the category contains the broad topic while the tag is more specific but relates to your category. It is generally best to use only one or two categories per post, but you can use as many tags as you wish for them. Don’t go crazy with tags in posts though. A tag should always relate directly to your post at hand, so using 75 tags for a post is probably going to do more harm than good. This article was meant to break down the basics features that you’ll find when trekking into the land of WordPress. WordPress is an amazing Content Management System, and even though learning the ins and outs can take some time, eventually, using it will just become second nature. I am sure there is a long way to go and this isn't all but hopefully the initial milestone for understanding WordPress has been achieved. See you in the next one. Ariel is a freelance writer and WordPress web designer for hire. Her work as been featured on top blogs like Elegant Themes and WPEKa. Her latest endeavors include helping others break into the world of freelance writing. Choosing a WordPress Theme For Yourself?